Different terminals to choose such as RJ45, RJ11, BNC, Two Pins terminals etc. The above data for TCP throughput, is the measured data in the actual environment. The maximum physical layer data is 240Mbps. For coaxial cable transmission, performance is more stable, but it also affected by the cable and terminal matching methods. On 1000 meters cable, accessing eight nodes, the distance between two nodes is 100 meters apart; The above tests are all finished in the field test. The AD-net model AN-LAN-EXT-ENH Ethernet over 2-wire LAN Extender is a compact media converter that allows 10/100 BaseT Ethernet to be transmitted using any 2-wire copper cables. These devices are often used in legacy installations where existing wire is re-used as part of an upgrade to IP devices. You can use one master at the network-end can support multiple slaves and connected devices. These LAN extenders are extremely simple to use and easy configuration. 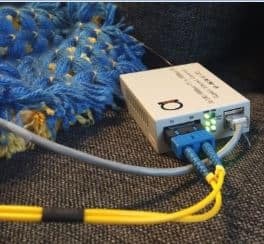 Status LEDs indicate power and link connectivity/activity for RJ45 and 2-wire ports. 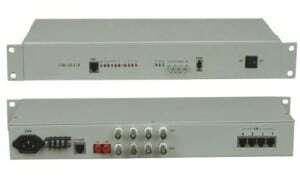 This product can be widely used for network extension system, network security system, network information publishing system, network renovation and expansion systems, railway, urban traffic, mining and telecommunication, etc.